Detoxification, most commonly referred to as detox, is often the first step in the substance abuse treatment process. This process may last several days, or even weeks. Some detox treatment programs are designed to only last through the most acute phase of the detox process, while others may last longer. With comprehensive care, detox programs lead directly into addiction rehabilitation programs. At-Home Detox Dangers: Can You Do it Safely? Cold Turkey and Quick Detox: Is it Dangerous? Finding a Detox Center: What Should You Look For? What are the Most Common Medications Used for Drug Detox? What Is a Typical Day in Rehab Really Like? The process of detox is the starting point for further treatment. Detox itself cannot treat the underlying addiction. NIDA published an article finding that brief, intensive, outpatient detox programs, followed by treatment with medication to relieve drug cravings, were very effective in initiating and maintaining abstinence from drug use among people addicted to opioid drugs. Sufficient treatment following detox was an important component in maintaining abstinence. This study contributes to the argument that detox, while not sufficient to treat addiction on its own, can be a very helpful and important first step in the recovery process. Detox can involve many unpleasant symptoms of withdrawal, as well as strong cravings, which can make the process difficult. However, detox is important in the recovery process, and there are many treatment options available that can help individuals through detox. Detox is not sufficient treatment for addiction and should be followed by additional substance use disorder treatment. One goal of the detox process should be for individuals to enter and remain compliant with a treatment or rehabilitation program for substance use disorders. The process of detox should involve three steps: evaluating clients and their needs, stabilizing the health and wellbeing of clients, and encouraging clients to enter treatment for substance abuse. Detox can take place in many different settings and follow many different models and methods. There is no one right treatment method for detox; treatment should depend on the individual needs of each person. Detox should address cultural diversity and personal beliefs. Withdrawal is a central feature of detox for people who are physically dependent on drugs or alcohol. NIDA defines withdrawal as the period of time during which the body adjusts to the lack of whatever substance it has become dependent upon. This can involve many uncomfortable symptoms, beginning after lessening or stopping substance use. The duration and severity of symptoms depend on the type of drug the individual is physically dependent upon. 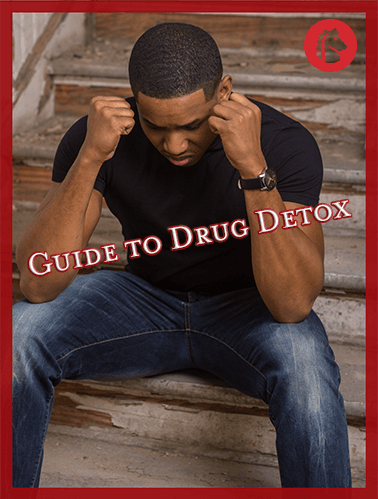 On average, detox takes 5-7 days for most substances of abuse; however, certain symptoms may continue for weeks or even months, though these are often quite manageable and improve greatly with time. Physical symptoms like muscle pain, insomnia, diarrhea, vomiting, and cold flashes may last days or weeks, while psychological symptoms like depression or anxiety may last months. Treatment offered during the detox process can address these symptoms. Detox can take place in many different settings. Some people detox at home without medical supervision and may try to quit “cold turkey,” or all at once. This can be extremely difficult, and even dangerous, to accomplish, because it can cause severe withdrawal. Both inpatient and outpatient interventions exist to help. A study published by the New England Journal of Medicine reported that many episodes of detoxification begin after the addicted individual is admitted to a hospital in response to an overdose. Because of this, many people begin or even complete detox in a hospital setting. Most people can, however, safely complete detox on an outpatient basis under the supervision of a medical professional or addiction specialist. According to Alcohol Health and Research World, people experiencing milder withdrawal symptoms may benefit from outpatient detox. Symptoms like tremors, sweating, heart palpitations, and nausea are usually not dangerous and can be managed on an outpatient basis. This is often a less expensive and less time-consuming option for detox treatment. Outpatient detox also allows the addicted individual to stay in contact with friends and family, providing an outside support system that can be helpful to the recovery process. However, outpatient programs do carry a higher risk of relapse due to the easier access to addictive substances. Some people experience more severe withdrawal symptoms that require close medical supervision, and should therefore detox in an inpatient setting where they can receive constant supervision and medical care. Alcohol Health and Research World reports that about 10 percent of people who go through detox require inpatient treatment. There are several advantages to inpatient detox, including less access to addictive substances, and therefore fewer opportunities for relapse. 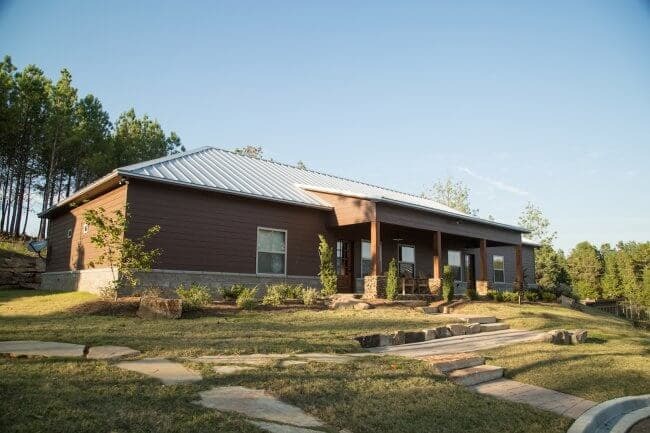 Some people suffering from addiction or physical dependence can benefit from the 24-hour care and supervision offered in an inpatient setting. Anyone at heightened risk for experiencing complications during detox should choose an inpatient program. While inpatient and outpatient programs each have advantages and disadvantages, the long-term success of maintaining sobriety does not seem to depend on the setting in which a person experiences detox; rates of long-term sobriety are about equal for each group. While individuals may be tempted to simply stop taking their substances of abuse on their own at home, this process can be incredibly dangerous. Some drugs cause a more severe withdrawal syndrome and require medically supervised detox. People addicted to or dependent on central nervous system depressants should not go through detox on their own. NIDA recommends that detox from central nervous system depressants such as benzodiazepines occur in an inpatient setting. Symptoms of withdrawal from these drugs can be very serious and may be life-threatening, so it can be extremely dangerous to stop using sedatives too suddenly. Medically supervised detox is always recommended in these cases to ensure that doses of the substance are tapered gradually. In addition, detox from alcohol should always be done in an inpatient setting since life-threatening delirium tremens (DTs) occurs in a small number of people going through alcohol detox. Medical detox is also recommended for opiate detox due to the severe withdrawal symptoms that are often experienced. Even if a person is attempting to detox from substances that don’t always necessitate medical detox, the risk of relapse is much higher with at-home detox. When withdrawal gets difficult, the person can stop uncomfortable withdrawal symptoms by simply using the substance again. As a result, most who attempt to detox at home are unsuccessful.